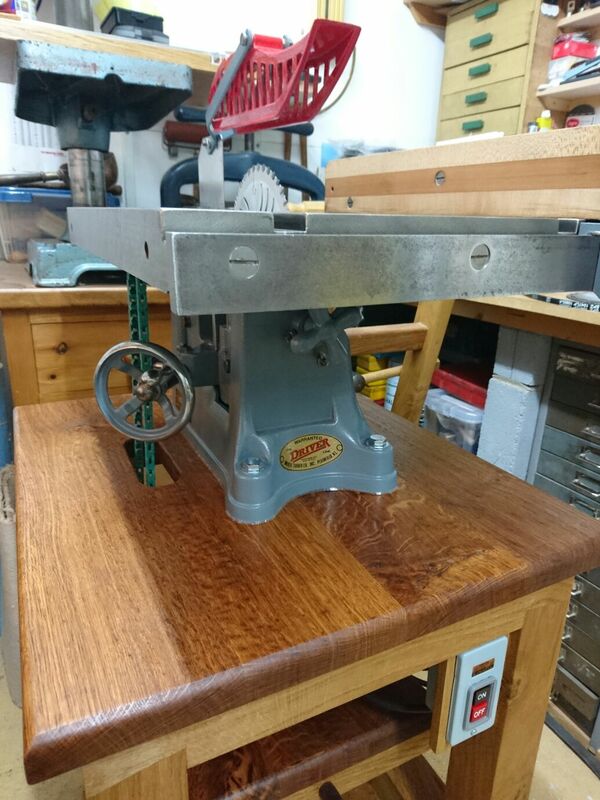 Walker Turner 8 inch table saw SOLD AND RESTORED. Latest acquisition July 2010. 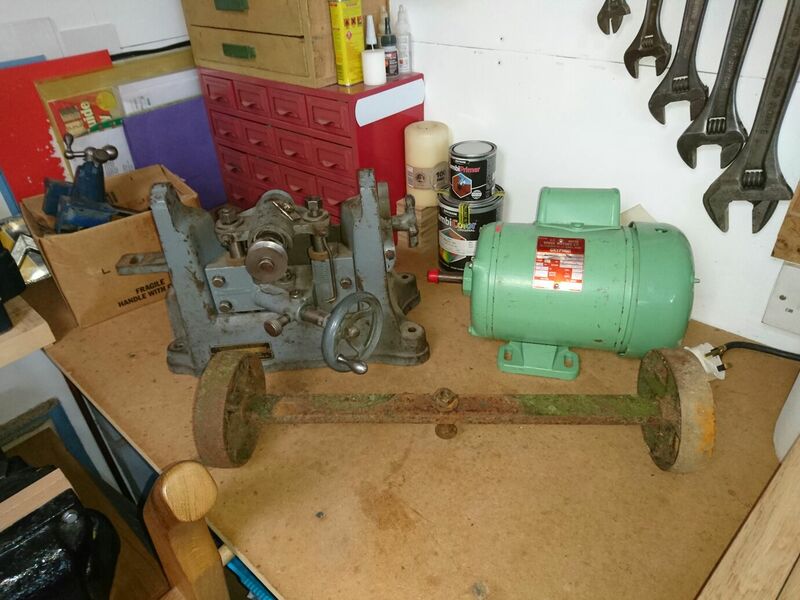 Bought off ebay and collected from Portishead. Yeah you may well ask just where the hell that is. It seems to be all there though, unlike me. 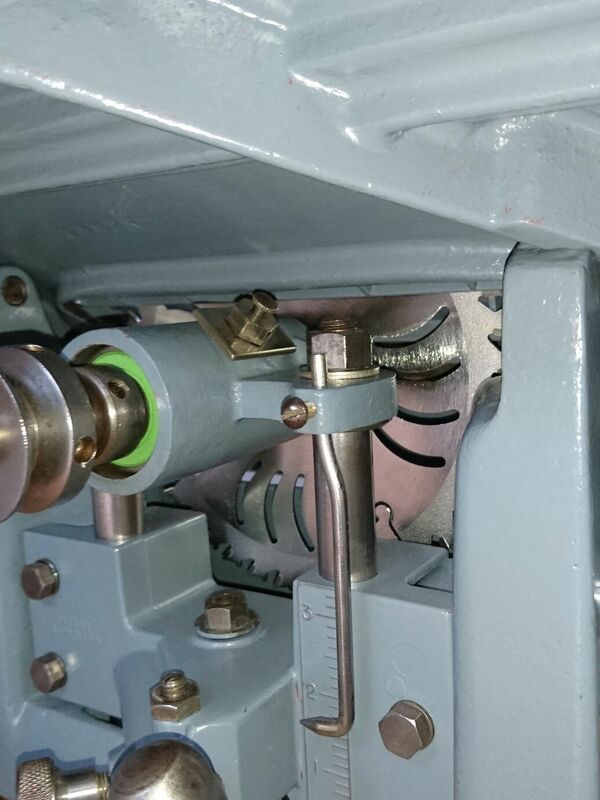 The only visible damage from the initial visual inspection is cracking on the aluminium rising gear housing. 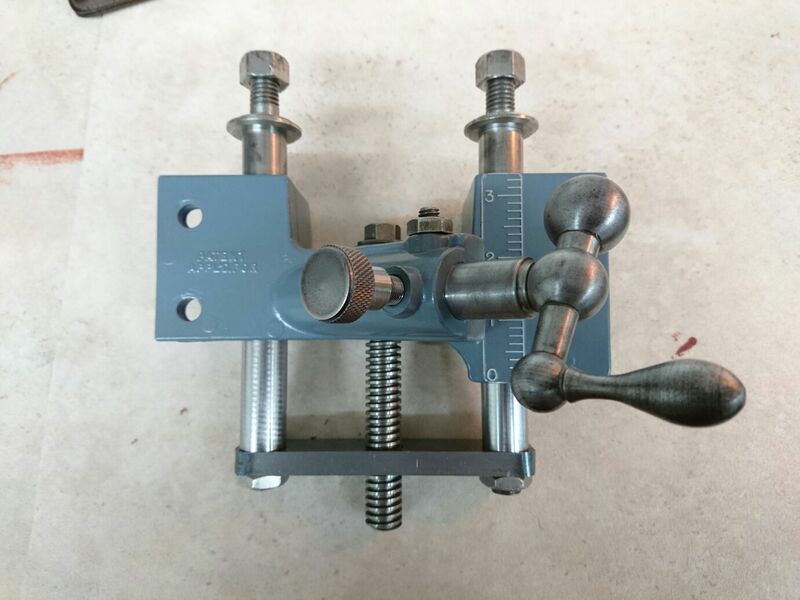 This is the ebay photo, hard to resist eh? Funnily enough mine was the only bid. 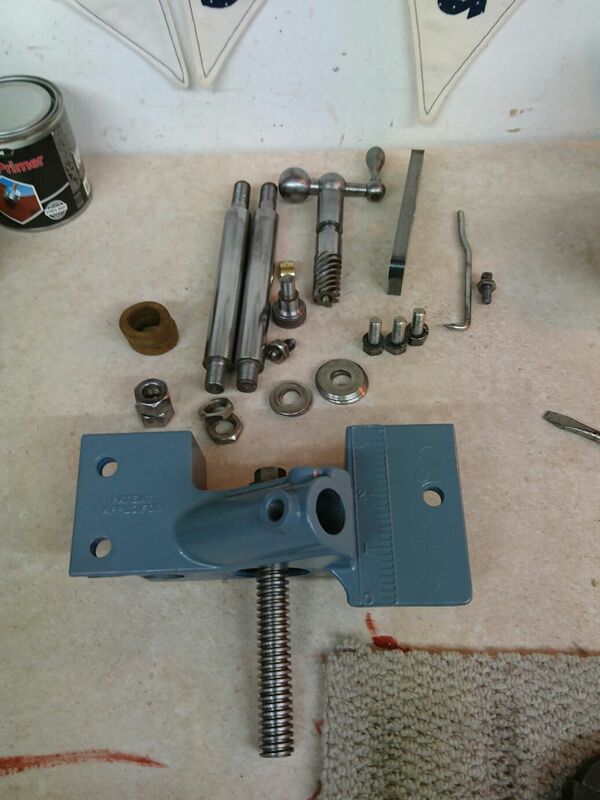 Here is the machine reassembled without anything bar a quick wipedown. 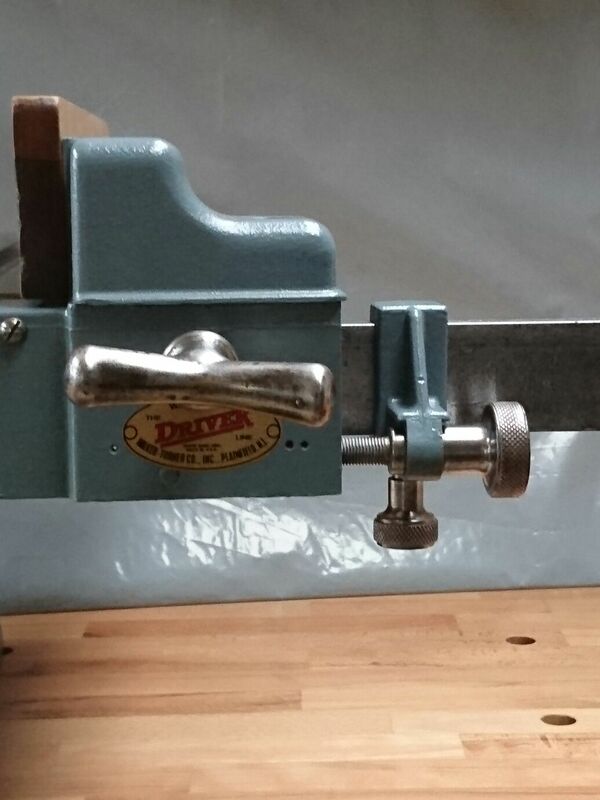 I have done some quick research into this machine and have identified it as a model no WTB745. The serial no is 70S140. 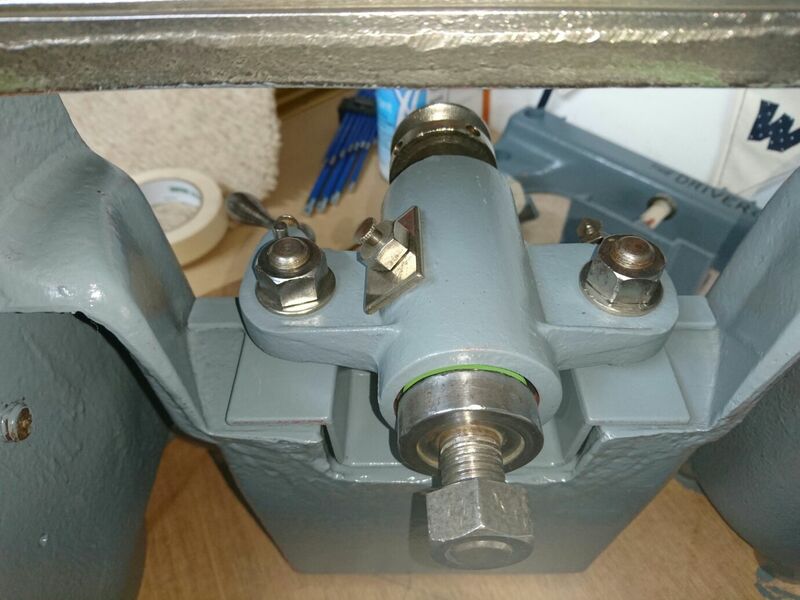 Below the table is tilted back to show the gear housing for the table raising mechanism. Zooming in on the housing some more. And here you can see the cracks in the housing. When the table is raised above the 3" mark the housing is dipping in dramatically to the point it seems likely to split further. It is going to have to be welded though the new owner thinks there may be too much magnesium in the metal as someone has attempted to weld it before. But he has an alternative solution lined up and has promised to update me with the restoration. The table tilting mechanism and angle display. Below is the rip fence which is a solid bit of kit on its own. 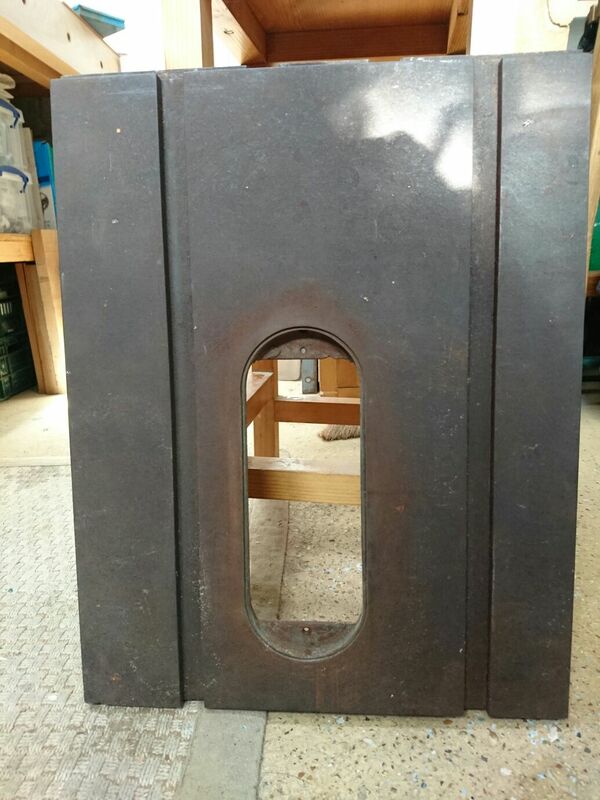 The piece of angle iron is for attaching and supporting the extension panels when fitted. The notches on it line up with the channels for the mitre fence. 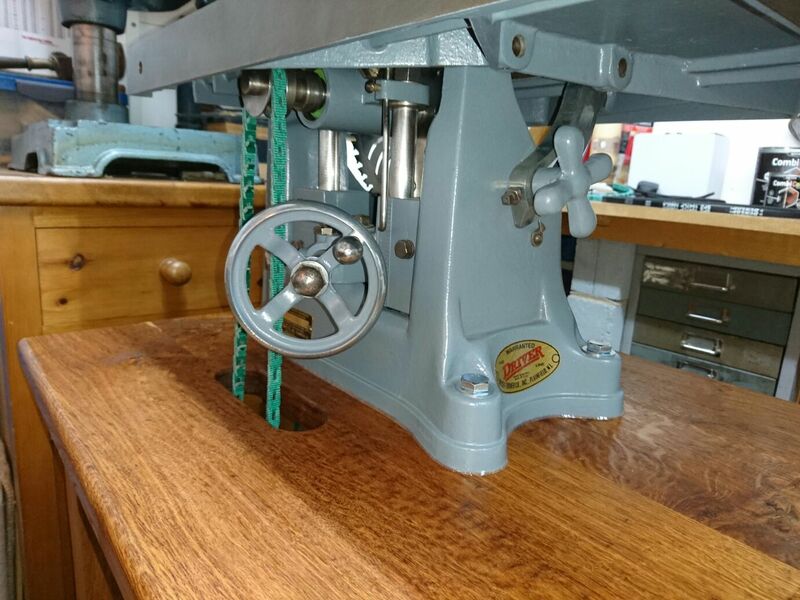 This machine was bought by an enthusiast called Julian who hails from near Canterbury in Kent. He plans to restore it and use it in his workshop. When he updates me I will add all the details here. I am glad it has gone to a good home where it will be appreciated. 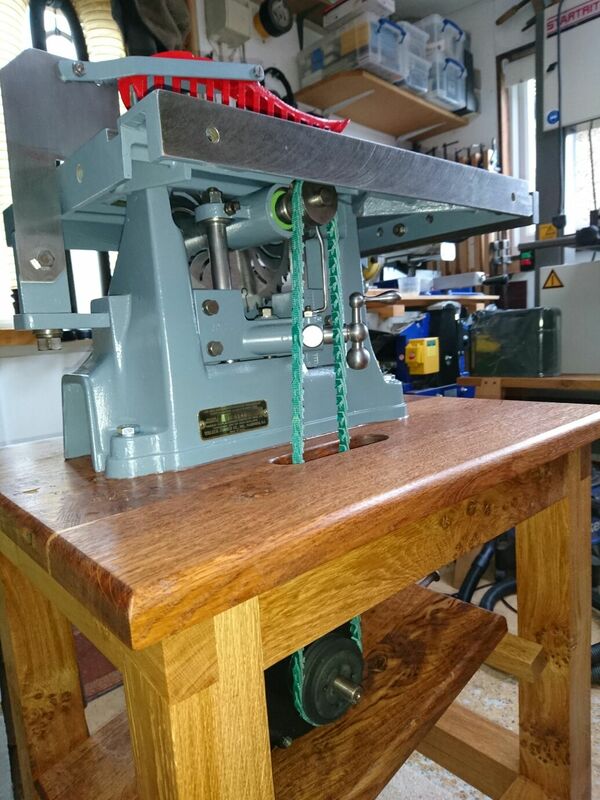 UPDATE JAN '17: JULIAN HAS FINISHED THE RESTORATION TO A VERY HIGH STANDARD AND WORKING ORDER. IT WILL BE FEATURED HERE AS SOON AS POSSIBLE. 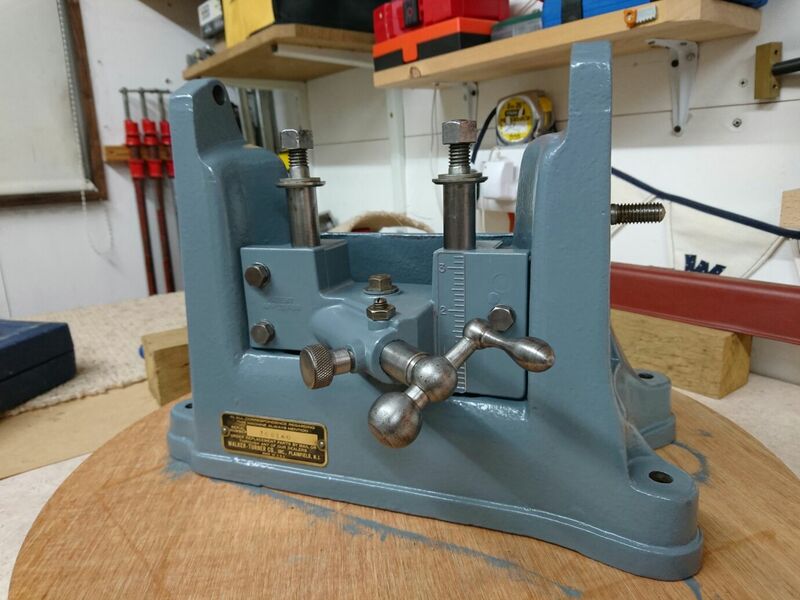 Julian received the saw from me in late February 2016 and months later in November I received a message from him saying there was exciting news about the restoration. And he wasn't kidding. He sent me some pictures which proved his point and I promised him I would feature his project on the Boleyn Workshop website. 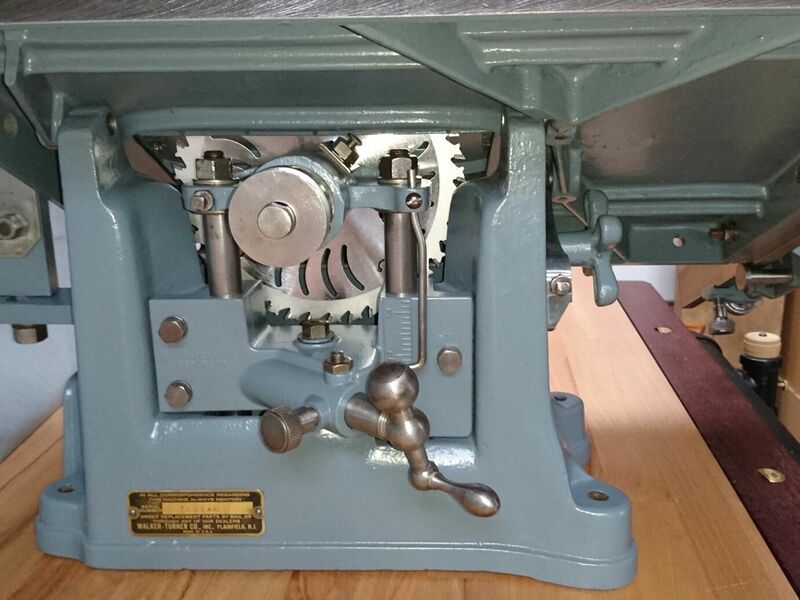 He had finally got round to restoring the saw after a busy summer in which he got married. I think we can accept that as an excuse to be fair. All in all it took him two weekends and a couple of hours work every evening in between which just shows what can be done with commitment. 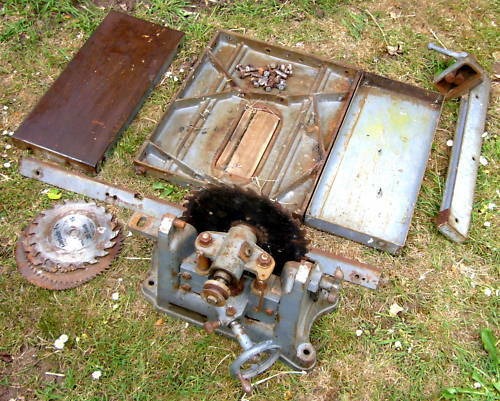 He managed to get hold of all the missing parts from an ebay bargain of £25.51. 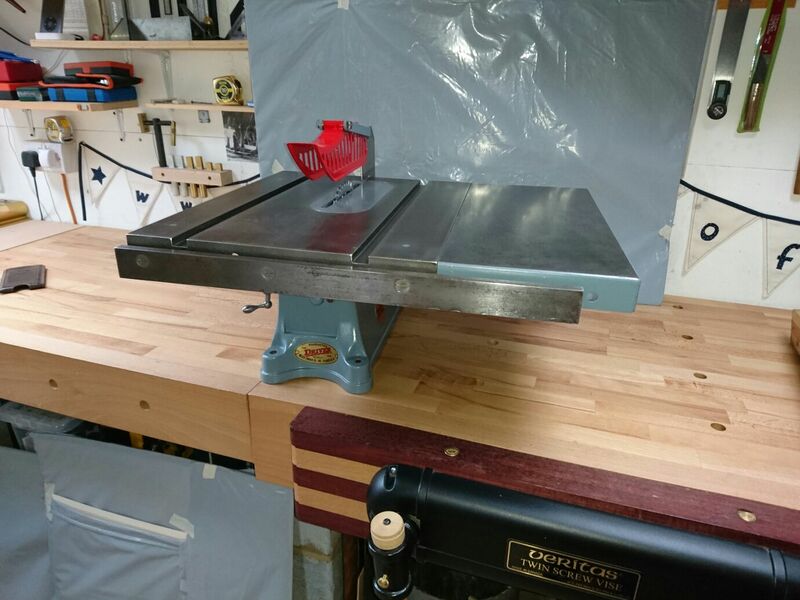 Despite being badly photographed and described, which probably put off a lot of potential interest, it turned out to be a complete Walker Turner table saw. There was the bonus of a weekend in Nottingham to collect it. Finding a complete donor saw was incredibly fortunate and made the project a firm reality. 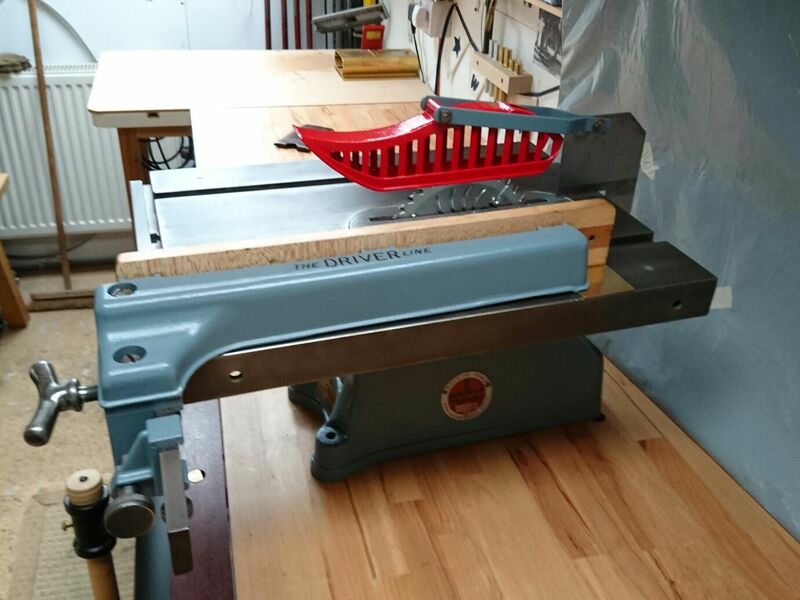 The next step was to completely strip the saw down and clean, polish or paint every single part. 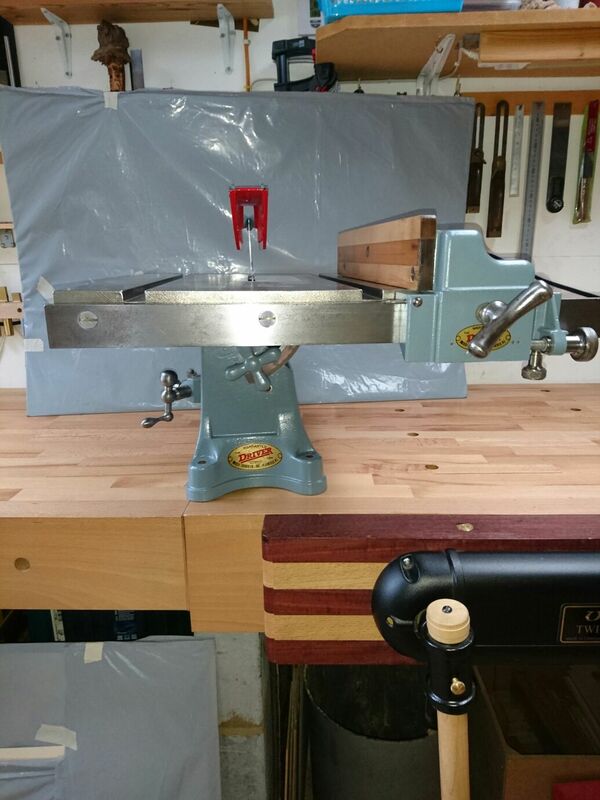 He used the main body and arbor from the saw I supplied but replaced the arbor bearings with sealed SKF ones and fitted a 7 1/4" Freud narrow kerf blade. 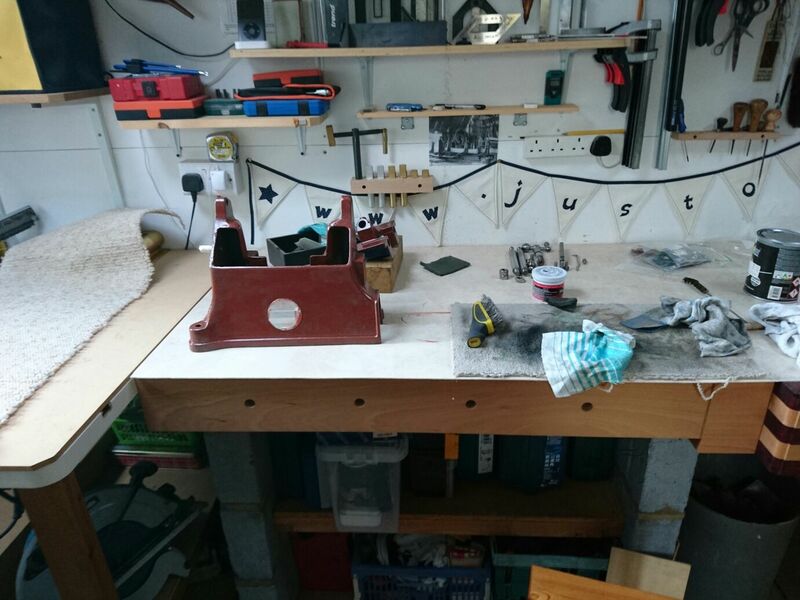 Unfortunately the saw table from my machine was revealed to have a crack in the casting so he used the one from the donor saw. That repair will have to wait for another day. 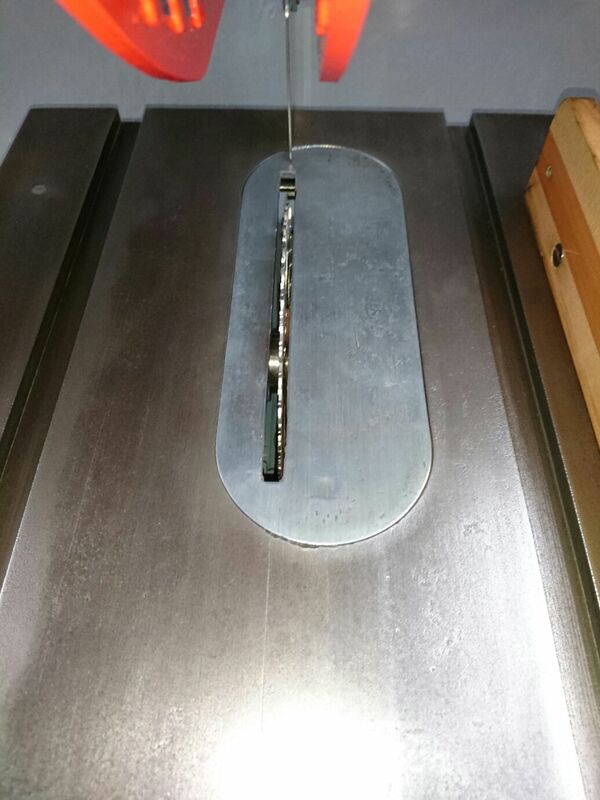 To get a good match on the original paint he took a piece of the saw to a Brewers paint centre and they were able to get a near perfect match using Rustoleum Combi Colour. 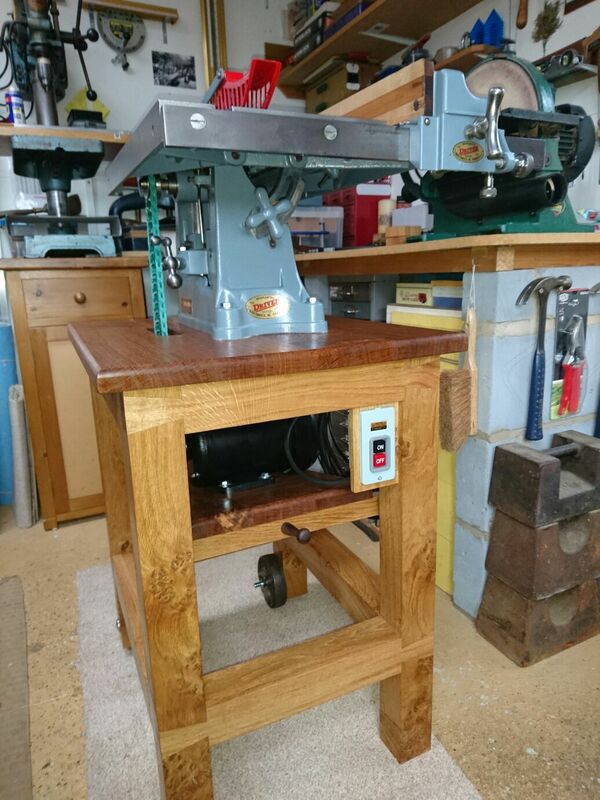 Last but not least he constructed an oak base unit to mount the saw on and powered it with a brand new Brook Gryphon motor. 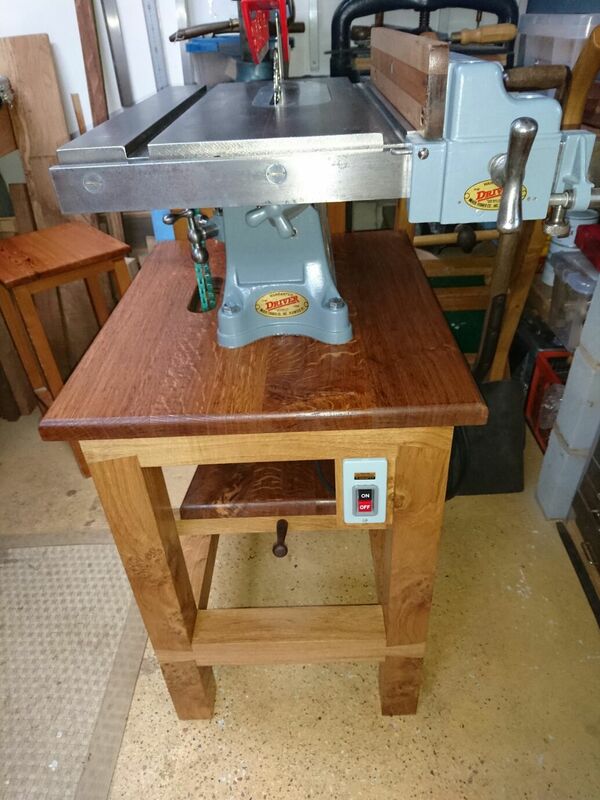 He now has a superb, fully restored saw and has packed away all the spare parts to build a nearly complete Walker Turner saw in years to come. 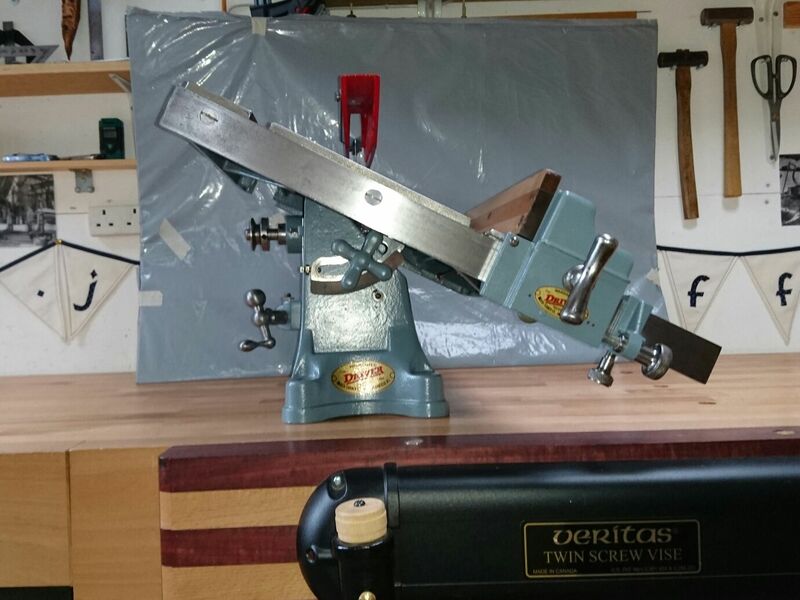 A project for the future and what will be an absolute find for some lucky woodworker. 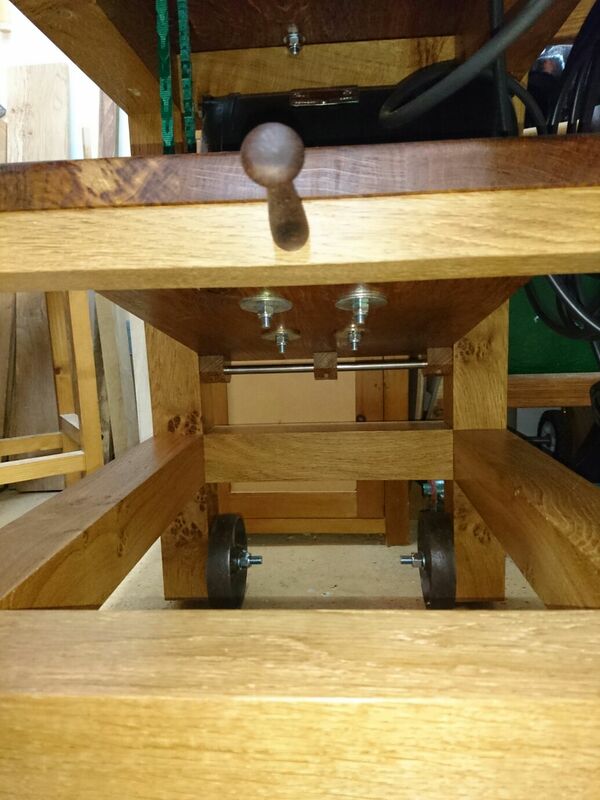 Please view the gallery below to see the WT saw in all it's glory. 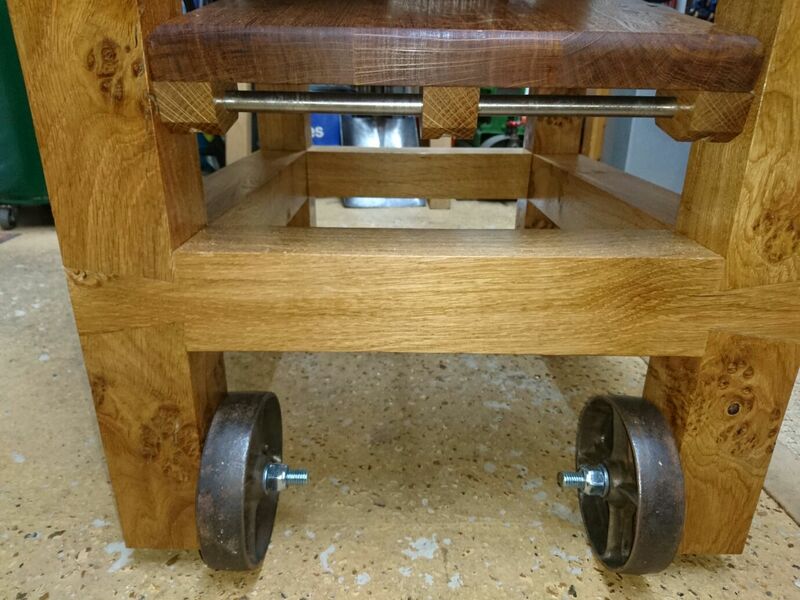 Thanks for sending in your project Julian, it is a great addition to the site. The transformation from questionable ebay bargain of mine to your working machine is great to see. To see more of Julians work then go to julian-harrisons-workshop.php I am not fit to wear the apron.